Understanding Cupping and the meaning of the marks left behind…. A very common misunderstanding regarding a surprisingly, beneficial after effect of Cupping, is the marks it may leave behind. Many people believe they are bruises and that they are sore and tender, sometimes these marks can put people off trying a cupping session altogether! In actual fact, these marks are harmless, painless, temporary and not classified as ‘bruises’ as there is no impact trauma. The ‘vacuum effect’ formed by Cupping draws up the old non-circulating stagnant blood, toxins and sticky fluids (lymph, coagulated proteins) from the area, bringing them up to the surface and away from the injury so that healthy circulation can be restored to the affected area, thus creating space for oxygen, living cells and nutrients for faster recovery. The circular marks are created when capillaries under the skin break as they release toxins. The colours are also really useful, as they give a good visual indicator as to the patient’s health from a TCM perspective. 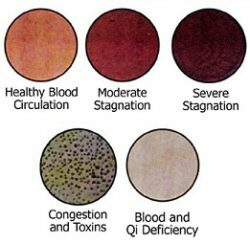 The colour and pattern of the marks depend on the level of stagnation in the area, and range from a bright red to dark purple, usually lasting 3 days to a week – sometimes longer if the person is very sick or sedentary. If there is no stagnation present, there will be only a pink marking which disappears in a few minutes to a couple of hours. 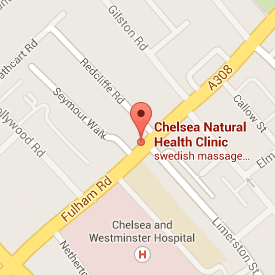 Alexandra works in Fulham SW10 London every Thursday& at other times by request. You can also follow me on Instagram @alexandraacupuncture for healthcare tips.